This summer promises to be pinky! This is the fun trend to adopt for the season. From the pastel to the flashiest, pink gets into all its forms. 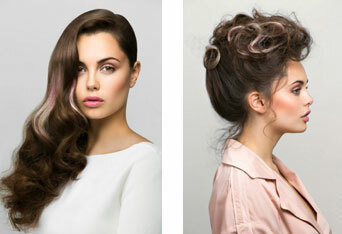 It-girls have advocated and made it a necessary fancy hair to get! True phenomenon of fashion it is find in muse on the covers magazine wearing wonderfully by our fashion icons! In the beginning very girly with mangas connotations, it is declined in poetic, daring version and even sometimes rebellious. It can be dissimulated by fancy touches or play the total look, the most important thing is to play with shades and contrast. 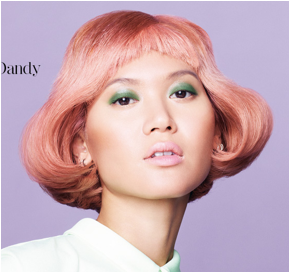 Wella is surfing on a wave of pastel with an undeniable lightness. Such a nice and fresh breeze. 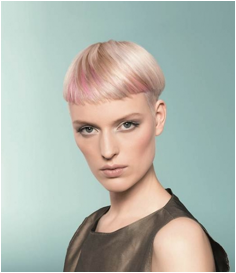 A total look with electric tones, Toni & Guy stimulates intrepid and requests malicious. 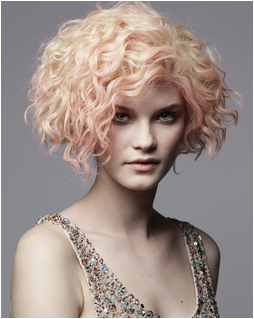 Very discreet, the pale pink on the edge comes to enhance this curly bob to enchant an evening celebration by Massato . 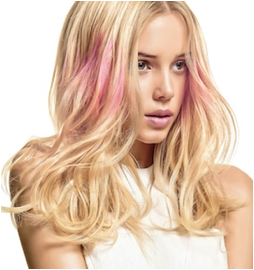 Pink highlight with tropical notes, Gaillet Academy brings a dose of torrid heat! A hint of pink to warm pearly gray, this is the game of Laurent Decreton . Schwarzkopf’ s Recipe: a pinch of retro, a concentrate of manga, a spicy seasoning, an emulsion of greed and it's ready to taste! 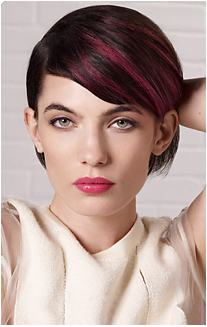 When the graphic meets subtlety they are one in the hands of Goldwell . There is great choice even for brunette! L'Oréal knows how to colour all the hair for our greatest happiness. Divinely painted, the spikes are contrasted with certainty and clarity by Claude Tarantino . Bumble and Bumble intertwines strands in matching shades. 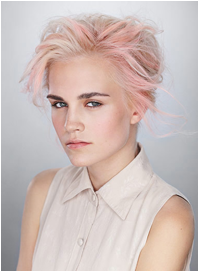 An almost imperceptible pink that brings a surprisingly hint of natural. A very summer look that Gaillet Academy is pleased to illuminate with fancy. 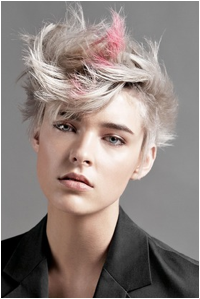 Unexpected pink roots that personalize a short hair cut, all well done by Toni & Guy . 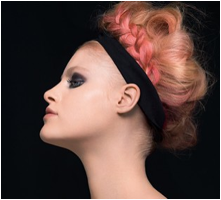 Vania Laporte brings a hint of pink to sublimate a wonderful mane, free or in a soft bun, the show is at its peak. 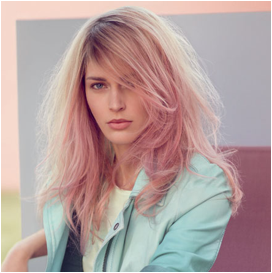 Blondes add spice to their hair by a flashy pink on their spikes or mid lengths, the summer must be very fashion with L'Oréal . A lovely example of what can be daring and devilish Kevin Murphy underlines a very pop version that makes us all crazy. 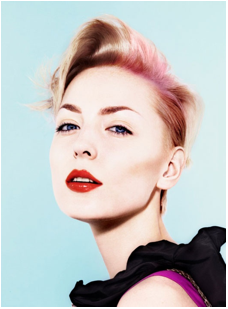 Robert Allen Salon reinvent pink, with a remarkable range of shades it invites us to absolute refinement. 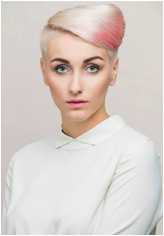 Very sober, a bit exuberant, this hairstyle with the modern lines grants a beautiful originality, signed Vania Laporte . 100% in the trend, Claude Tarantino plait pink headband and cap flexibility and lightness for a very fashionable summer under the sun of course!